If you’re looking for new ideas on onboarding your employees in a classroom or lecture hall setting – you might want to take a step back. Classroom exercises may seem like the best option to make sure your new hires all have a consistent experience, but the process itself is outdated and ineffective. There are newer, more efficient methods to get hires up to speed – methods you should adopt if you want to implement a world-class onboarding process at your organization. Think back to when you were in school. Did you sit through hours of lectures happily engaging with, and fully absorbing, each and every concept the professor threw your way? Probably not. You probably would fidget, zone out, check the clock, think about lunch. And you’re not alone. People use different sensory cues to learn and retain information, and classrooms don’t usually cover them all. Studies show that 65% of the population are visual learners who need to see things demonstrated, 5% of the population are tactile learners that need to roll up their sleeves and do it themselves, and the remaining 30% are auditory learners – i.e. people who thrive in a lecture hall, or classroom setting where they can listen to a lot of information uninterrupted. If we break it down, 70% of your hires need a highly visual, hands on onboarding experience or else they’ll struggle to connect, engage with , and fully absorb the information you deliver. HR can provide consistent, compliant, highly visual and engaging experiences with world-class onboarding solutions like Click Boarding. New hires can skip the dusty conference room turned classroom, and get the paperwork, basic company information, and cultural engagement done on their phones, tablets, or laptops before their first day. Then everyone can focus on getting the hire set with practical, on-the-job training in their first week – which, according to 76 percent of employees, is the most important aspect of any onboarding program. You won’t find those benefits in the classroom. You invest valuable time, effort, and resources sourcing the perfect candidate through a compelling employer brand, talent attraction strategy, and recruiting experience. You certainly don’t want to see your work go down the drain in the handoff from talent acquisition to talent management. Organizations without a thoughtful, defined transition between the two leave hires floating in limbo. The sizzle you create in the candidate experience is wasted if you don’t continue to drive engagement, prepare for first day readiness, begin converting talent to advocates and referral sources, and begin the ramp to productivity. It’s important to realize that the hiring process and candidate experience isn’t over when an offer is signed or the employee starts their first day in order to retain your new talent and protect your initial investment,. 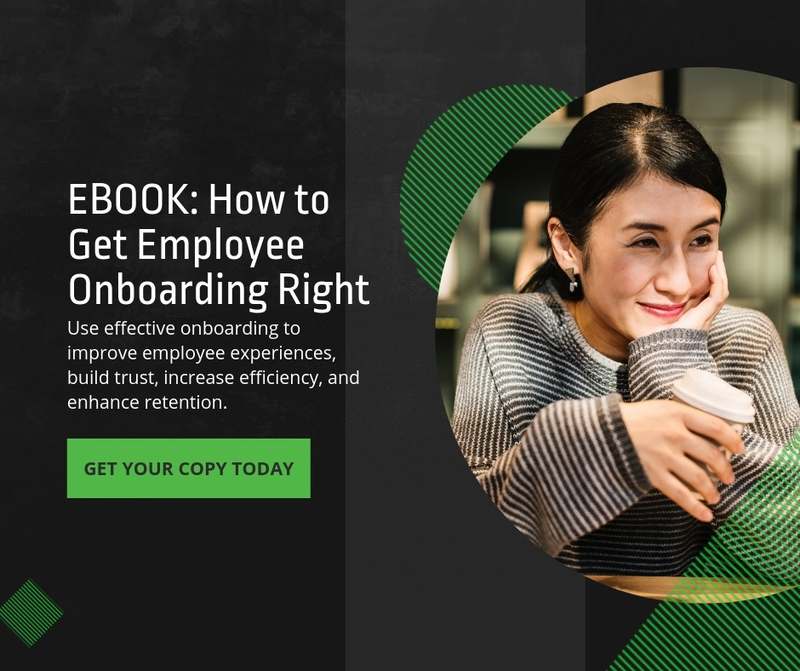 Onboarding new employees (the handoff from talent acquisition to the business ) is a critical aspect of the hiring process that helps increase retention rates, boost engagement, and integrate new employees into their work environment faster than ever before. The key is to make sure that your onboarding and hiring experience are consistent and unified. That’s where our new partners at Comeet come in. Click Boarding bridges the gap between talent acquisition and talent management to help HR engage and retain talent. Comeet enables a guided candidate-to-employee experience while removing HR burdens and minimizing new hire anxiety. Click Boarding is an onboarding platform that takes the stress out of employees’ first days — and beyond. The platform delivers a guided experience that removes HR burdens and minimizes employee anxiety related to any transition or internal mobility, from being a new hire, to being promoted, to changing roles or offboarding. Click Boarding bridges the gap between talent acquisition and talent management to help you engage and retain talent. Together we empower HR and talent acquisition to “own” the process from candidate to employee, giving them more data and insights on employee satisfaction that can be applied to hiring efforts. Onboarding is so much more than filling out forms. It’s the welcome wagon, the mentor, the office tour, the team. It’s what to wear, where to go, and what to do when you get there. Strategic onboarding takes things to the next level. It’s the experience you expect your talent to have and the extra push needed to speed talent’s time to value. Strategic onboarding matters, not in a small way but in a very BIG way, to the business. Timing. When does it start? Delivery. Paper or no paper? Tactical. What are the must-haves? Fluff. How do you engage, and is it necessary? TIMING. For new hires, onboarding officially starts the moment the candidate signs the offer letter or passes their background check, continues through cross-boarding, internal transfers and promotions, and then ends when the employee offboards and exits the organization. Some employers choose to hold off on the process initially, then hit new hires with a stack of onboarding forms on the first day of their new role. Best-in-class employers with a strategic process, start sending materials and engaging new hires right at offer acceptance. This allows your just-hired to get a feel for expectations, culture, and the company itself before their first day – shortening time to productivity, reducing anxiety, and creating a better employee experience overall. First rule of creating a strategic onboarding program: You can’t start too soon. Waiting is a wasted opportunity for engagement, productivity and revenue. It’s a new world of work. Employees move from project to project, employer to employer, and contract to contract. If you want to attract, retain, develop, rehire, and obtain referrals from your ranks of talent, then you need to provide the experience that they expect – when they expect it. That brings us to DELIVERY. Do you FedEx your new hire a massive – and slightly terrifying – stack of papers to complete before their first day? Or do you invest in an automated onboarding solution that’s mobile-optimized, self-guided, and easy? That’s like asking if you want to get directions using your smartphone or using a janky old folding map. Moving to a paperless process reduces overhead costs and increases data accuracy for the company while allowing hires to interact with your organization whenever, wherever, and however works best for them. Second rule of creating a strategic onboarding program: New hires expect a modern experience that’s consistent, engaging, digital and mobile. Use an automated solution to build that experience. Now that you’re providing hires with a modern, mobile experience right after they accept the offer – what forms do you actually include in a strategic process? Unfortunately, there’s no super-secret mix of forms that’ll lead to instantaneous success. The tactical content required for onboarding changes for each organization depending on location, size, industry, and stakeholder needs. So how do you find the balance of content that meets compliance requirements without bloating the process? We recommend you start with an inventory of forms you think are “required” for the organization and break it down from there. Get together with Legal: Which forms need to be created or updated to be compliant? Can you remove any forms? Then take a look at your other organizational forms. Which ones provide value to the hire? Can you condense or remove any forms to streamline your process without taking relevant information away? The goal here is to remove the legal and organizational bloat to streamline the experience for hires and free up time and resources for other – more engaging – activities. Third rule of creating a strategic onboarding program: Less is more. Keep the legalese, long policy forms, and data entry to a minimum. Only include what is absolutely necessary for compliance and the employee’s success. Side note: If you’re using Click Boarding, your standard government forms are already covered. We’ve streamlined and simplified the Form I-9 and W-4 to increase speed of completion and accuracy. It’s already included in your package – just drag and drop the form into your process, set a due date, and add email reminders for the hire and HR. You can even create different process flows for different roles or locations – which will help streamline further. Once you’ve got tactical ironed out, it’s time to layer in the “FLUFF“. Fluff is any action – automated or otherwise – that helps build relationships, entrench the hire in company culture, and foster early and continued engagement. This is where you confirm the dress code, provide directions to the office, make introductions to the team, assign a mentor, and so on. Here’s the deal: while most people think of it as “fluff” this is not just “warm and fuzzy feel-good” content that can easily be ignored. If the powers at be in your organization are know to say things like “Happy hires are great, but is it really necessary in a strategic process?” the answer is: ABSOLUTELY. Consider Hot Topic. Their recent case study in HROS (HR Open Source) connects engagement and experience to productivity, attrition and referrals. And they proved it. You can read about the full process and strategy they implemented here, but just take a look at their results. Improved retention, deeper connection to employer brand, more qualified referrals, productive employees – talk about direct impact on your bottom line. In fact, it makes the case: a lacking onboarding process is bad for the business. Fourth rule of creating a strategic onboarding program: Be human. New hires are excited, motivated and ready to engage – share their enthusiasm and show you care. They’ll thank you later through referrals and brand advocacy. Now that we’ve made it to the end of the list, let’s review our high-level strategy. NOW. That’s when they expect it, and that’s where you’ll see the highest return. AUTOMATED AND MOBILE. It’s not 1997, Karen. Get hires the information they need in the way they expect it to be delivered. Tactical. What are the must haves? That depends on the company. But whatever they are, COVER THEM. And only them. If an onboarding step doesn’t add value to business or the new hire, leave it out. The best HR solutions allow HR to focus on people. Tips 1-3 are meant to free up your time for relationships, so build them. “Fluff” isn’t fluff: it’s the EMPLOYEE EXPERIENCE you expect your talent to have, and it pays dividends. Onboarding is the start of a new hire’s journey with your company. The experience they have before Day One and beyond directly impacts productivity, engagement, and brand loyalty. If you provide just the slightest upward tilt to their trajectory, you’ll see fantastic returns throughout the talent lifecycle. The best news? Strategic, modern onboarding is a win-win that’s easier than you think. Let’s pretend that I’m a candidate looking for a job at Acme Corp. In an ideal world, I’d find a job post online and apply. They’d carefully review my resume, then give me a call to set up a meeting and go over what I can expect in the interview. I’d get up early, get glam, and confidently meet with the rep who called me, the hiring manager (who was briefed before the meeting) and a few members from my soon-to-be team. They’d contact me immediately after the interview with feedback, and an offer a few days later. Then I’d be enrolled in their onboarding – where I go through the necessary paperwork, get introduced to the team, mission, values, culture, etc. etc. and start my life as a shiny new Acme Corp. employee. Realistically though, that’s not what usually happens. It’s way more likely that I’ll struggle finding relevant open postings, sweat my way through the hiring process, curse recruiters for their inability to answer a SINGLE phone call, and then get dumped unceremoniously into the hiring managers lap with no desk, no laptop, and no clue. Not cool. Especially when 90% of employees decide whether they’ll stay at an organization, or leave, in the first six months. So how do we make this process a little less painful and a lot more retention-focused? Easy. By keeping employee engagement and the employee experience top-of-mind. Not sure where to start? We’ve got you covered in three steps. Your employer brand is how you present yourself to prospective candidates. If you’re calling, texting, emailing or tweeting are you providing a clear and relevant message? Is that message consistent across all platforms? Even more importantly – does your employer brand match what happens past the recruiting phase? If not, you need to reexamine the way you’re presenting yourself and adjust accordingly. If you’re honest and transparent with your employer brand, you’ll see a smoother transition from pre-hire to onboarding and beyond. For candidates, the hiring process is a window into what life will be like at your company. If things are complicated, confusing, or frustrating, the’ll disengage so fast it’ll make your head spin. Make it easy to stay involved. Provide them with a centralized, mobile-friendly location to interact with your organization. Automate tasks, processes, communications and reminders to keep your organization – and their fabulous new job – top of mind. Where to be and when? Who they’re meeting with and what can they expect during those meetings? How they fit in the organization, their department, and their team? If not, it’s time to re-evaluate. Providing this level of detail shows new hires that you’re invested in their success, and allows them to show up that first day ready and raring to go. Pro-tip: If you continue the onboarding process through the first 8 months of employment, you can see increased retention, long-term engagement, and overall productivity. If you put it all together and focus on maintaining an employee-centric process, then you’ll see prospects transition into new hires, and new hires transition into engaged employees that aren’t going anywhere anytime soon. Want to improve your onboarding process? 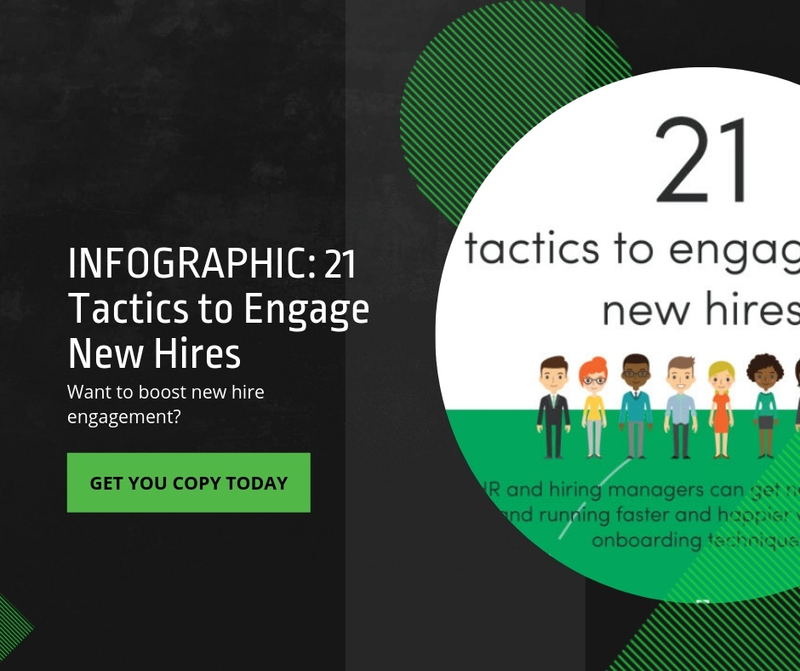 Take a look at our newest e-book or reach out to one of our onboarding gurus today! Starting a new job is stressful. Especially when things don’t go the way they were planned. But, with HR teams focusing in on employee engagement and the candidate experience – we’re streamlining the process and making things better… right? Wrong. While companies are investing more time and resources into cleaning up the hiring process, a good chunk of businesses are still dropping the ball when it comes to onboarding. A survey from OfficeTeam shows that while 98% of HR managers think their onboarding is “effective,” over half of their new hires still run into issues when starting a new job. 33% claimed that their technology (e.g., computer, phone, security access) wasn’t properly set up on day one. 22% said that the necessary supplies were not provided. 16% didn’t receive an overview of the company policies. 15% weren’t introduced to their coworkers. 14% didn’t get a tour of the office. And these are just the basics. What about more complicated pieces like the Form I-9 and W-4, or culture based activities like introducing employees to the company mission, vision and values? Failure to comply with government standards can result in serious fines and penalties, and the inability to provide the bare necessities for new hires makes them second-guess their decision to work with your company. When 90% of employees decide whether they’ll stay at an organization, or leave, in the first six months, you can’t afford to overlook your new hire’s needs. So why isn’t this more of an issue? Easy. There’s a disconnect. New hires see onboarding as an integration into the company and culture, and organizations see it as data and required forms. Don’t be that organization. Onboarding is so much more than just filling out forms. It’s a chance to connect and engage with your new employee, reduce their anxiety, and prove that coming into your organization was the right decision. It’s a chance to develop a lasting relationship that will – hopefully – push the company and the employee to bigger and better things. By focusing on the employee experience – businesses can see improvements in customer satisfaction, increased retention rates, stronger employer brands, decreased costs, and growth in company revenue. Click Boarding is an onboarding platform that takes the stress out of employees’ first days — and beyond. The platform delivers a guided experience that removes HR burdens and minimizes employee anxiety related to any transition or internal mobility, from being a new hire, to being promoted, to changing roles or offboarding. Our goal is to publish content that helps HR teams engage and retain talent. Our posts cover everything from onboarding to employee engagement, the candidate experience, and beyond. With a little over 165 articles to choose from – here are the top 5 fan favorites in 2017.